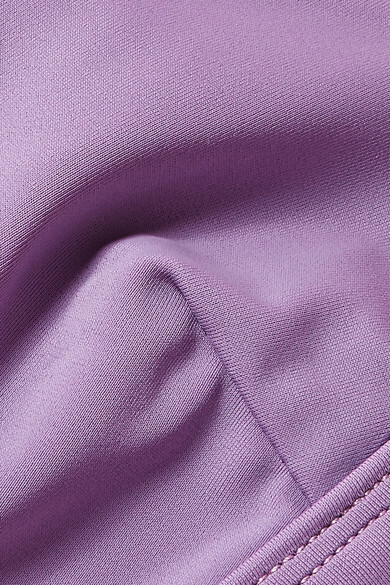 Matteau updates its classic 'Petite Triangle' bikini top in lilac - the shade of the season. Designed to provide medium support, it's made from double-lined stretch fabric and has darted cups and slim straps that can be adjusted for the perfect fit. Complete a set with the matching briefs. Wear it with: Muuñ Tote, Cult Gaia Sandals, Illesteva Sunglasses, Sophie Buhai Earrings, Alighieri Necklace, Monica Vinader Chain.